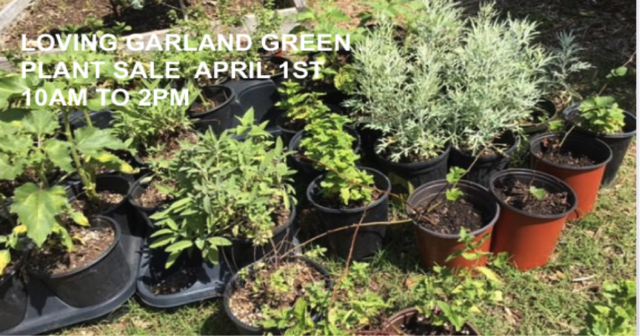 Weather permitting, Loving Garland Green will have their spring plant sale April 1st at the Garland Community Garden 4022 Naaman School Road here in Garland. If you are a crazed gardener who never misses the plant sale hosted by the horticultural students at Naaman Forest Hight School--don't worry, you have plenty of time to take advantage of that great sale and then mosey on down the road about two miles to our sale. We are not starting until 10 AM. If it rains we will try again on Sunday from 2 to 5pm. Unlike the go-get'um students, we are mostly a group of laid-back retirees. Here are a few of the plants we will be selling in addition to some fantastic yard art created by Loving Garland Green members. Keep in mind that these are just the plants that Charlie and I are bringing. Who know what all the others will bring? Ball’s Improved Calendula –From Baker Creek Heirloom seeds. These pretty, double three-inch flowers are deep orange in color. They are great as cut flowers and they are a lovely garnish in a salad. Yes, these flowers are edible. (looks like a wrinkled yellow squash (Only 3 plants for sale but you can see them as small transplants in our Multicultural garden) The fruit looks like small wrinkled yellow squash. The seeds of the bitter melon are notoriously difficult to germinate. This plant belongs to the Cucurbitaceous family (squash cucumber). It is generally consumed cooked in the green or early yellowing stage. The young leaves of the bitter melon may also be eaten as greens. Bitter melon is very popular throughout India. It has many purported uses including cancer prevention, treatment of diabetes, HIV and infections. In 2017 the University of Peradeniya researches revealed that bitter gourd seeds can be potentially used to destroy cancer cells and was successfully administered to patients in Kandy General Hospital Cancer unit. We have 8 small bushes—all grown from the highly prolific bushes in my yard. We have several of these herbs available in decorative pots. Mint – lots of garden mint. We have about fifteen loofah plants. We plant these every year to decorate the Loofah tunnel at the Garland Community Garden. Over 100 small tomato plants of many varieties.